At VIVO our passion is delighting our clients. Our highly trained stylists will create a stunning hair style designed with you in mind – to compliment your looks and personality, to work with your hair type and life style. The latest trends made wearable – so your new look can be recreated at home, by you. What makes VIVO different, is our unmatched commitment to professional development for our stylists and beauty therapists. 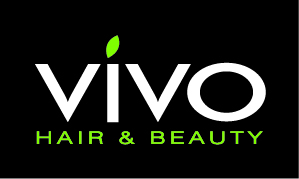 The VIVO National Education Program is led by our team of award-winning trainers, and provides our stylists with access to cutting edge hairdressing techniques and products.